Saving money can be much simpler than you think. If you are planning to save more money this year, here are some guides and tips for you to follow. You do not have to follow each one of these tips to the letter, instead treat them just as guides to help you to save extra money on your day to day purchases. You will be surprised at the amount of money you can save just by making a few small changes. Here are some of the best tips on saving money. Everyone is regularly buying coffee at restaurants nowadays. It would actually save you more money if you skip your latte or macchiato from your favorite restaurant and make it instead. This tip does not mean that you have to entirely stop drinking coffee or totally remove coffee in your life. Instead, just go to your kitchen and make your own coffee. Many of your favorite coffee houses also sell their unique blends and machines to make coffee in your own home so that you can duplicate their results in your kitchen. This can be more cost effective over a year than purchasing an expensive cup of coffee every day. Keep a mantra as you are shopping. Stop the impulsive buying. Some people are experiencing the hardest time when they are in a mall or a supermarket and they are being tempted to buy something that they really want but do not need. If you shop without a checklist, there are tendencies that you are going to buy some things that you do not actually need. What’s worse is, you might forget the things that you have to buy and become lured in with the things that look more exciting to purchase than necessities. This is how you can start losing money quickly. Additionally, with a checklist, you will only buy all the things that you need to buy in just one trip to the department store or grocery store, instead of having to go back for forgotten items. If you like reading, skip buying the books that you like reading and instead go to the nearest library and locate a book that might be of interest to you. It is always free to go to the library and borrow some books. Why would you buy a book when you can have it for free? If you know someone with a collection of books you can also offer trades or swaps for your own collection so that you can both enjoy reading new books without having to buy them. Drinking water is good for our body, but you do not have to buy bottled water every now and then just to quench your thirst. Instead, bring your own bottled water in your office or whenever you go out. When you bring your own water, you will not only save your money, you will also be saved from thirst when you are working or out shopping. When you are not using appliances like your televisions, radios, microwaves, etc. it is best that you completely unplug them, rather than simply just turn them off. An appliance still uses your electricity for some small processes as long as it is plugged in. If you have friends who regularly impulse shop and invite you to come with them to lavish restaurants and more it is important to remember, you are saving your money for necessities. Hanging with people who have lavish lifestyles may make you spend more than your means. Remember; these are just mere guides for you to save your money. Just pick one of these tips that suits you best. If you can use these tips to save money, you can help to plan for a healthier retirement as well as have savings in case emergencies may arise. Have you ever experienced budgeting blues? With all the news about the recession, it is never easy to be calm when you are in the phase of your life where budgeting is the main concern. But did you know that making the most out of your money and/or financial planning should never be a tedious process? Below, you will see some blogs that will help you to save money and will help make calm decisions to make the most out of each pay check in order to save for retirement. This blog is made by Jasmine Brittles, a finance expert. It is one of the leading sites that talk expressly about justifiable opportunities in money-making. This beautifully and elegantly designed blog advises readers on how to make and save money by means of the ‘bargain’ section and free e-books that can be downloaded. This blog is regularly featured in different local and national press. The owner of this blog is a self-proclaimed finance expert and economical fashionista. This blog proves that you do not need to have a lot of money just to look good. The owner of this blog advises her readers on how to stretch their budget when dressing up and buying clothes. If you need some inspiration on how to inexpensively look fabulous, go to this website and get some inspiration. If you are someone who likes traveling but you don’t have a lot of money, budget traveler is a great blog to visit. This blog tackles a variety of budget tips when traveling. This site also contains affordable places for you to stay in countries all around the world. If you are suffering from a cough, you do not need to go to a pharmacy and spend your money to buy a cough medicine. You can make use of honey and other ingredients that are available in your house. This is what this blog is all about: being self sufficient. Whether you want to save money by making your own medicines (take note: Safe ones) making the most out of the junk in your kitchen, or saving money with other common household items, this website is the one for you. Do you have questions about financial topics but you do not know who to ask for advice? Go to this website and ask whatever it is that you want to ask. This website, which was created by Annie Shaw, has forums in which everyone can ask anything regarding money matters. It is important to mention, you do need to become a member first before you can ask your question. Remember that it is possible for you to save your money. You don’t have to really follow this blog keenly and strictly just to save your money or make the most out of it, budgeting solely depends on you, not on any magic formula. These aforementioned blogs are excellent ways you can develop a working budget strategy and see your money go further. It is your dedication to budgeting that will dictate your success. Happy budgeting and I hope that this list of the best blogs on saving money helps! Investing in real estate is a good option for anyone who is not sure of their finances in the future. If you have saved a lot of money for the past decades, it is a good decision to put your money in buying real properties. The price of land whether agricultural or commercial continues to increase and with proper management of your money you can always assure of a good future. As the saying goes, “do not put your eggs in one basket”, investing in real estate is a great way to diversify your investment portfolio so that you can have a better chance at a good return on investment. But how much do you know about investing in real estate? Investing is a broad subject because it deals with the ownership, purchase, sale and rental of an estate. Whether these are commercial, residential, industrial, or agricultural; they are all covered under estate property. Owning a piece of jewelry or an electronic gadget is not covered by this type of investment. Real estate development is a sub-specialty of estate investment which covers developing land for commercial buildings, subdivisions, condominium buildings, hospitals, cemeteries, housing projects and industrial buildings. The assets that result from this type of investment are generally just called real estate. Every year thousands of acres of land are developed across the globe as sites for commercial buildings and housing projects with large capital invested by the land owner and estate developer. Millions of dollars have been spent for this investment which is expected to give multiple incomes when the construction is completed or make the land ready for sale or rental. When the buyers and renters are attracted to the property, the estate developer/owner can start reaping the fruit of their labor. More cash inflow is expected to come in as the price of rental for a condominium unit continues to rise with demand, the same goes for apartments and commercial buildings and store areas. Brokers and agents will benefit from the proceeds of the sale or rental because they are entitled to a commission that would be negotiated before the deal is made. Most the commissions are usually anywhere from 5 to 10 percent. But 10 percent is too high. In fact in some parts of Asia, usually the commission is anywhere from 3 to 5 percent, a heavy cost savings. Although it sounds small, this can add up on a property being sold in millions. 5 percent is certainly enough to cover a broker’s bills and other expenses. If you know how to deal with clients, dealing with investment can be a lucrative job for you. It is beneficial if you can become a licensed broker so you are guaranteed commissions on deals as well as having the ability to complete real estate sales yourself. Investing in real estate is a good sideline for people who have day job. As such, they can earn great money on top of their existing salary. For as long as your have persuasive skills and the ability to entice your buyer, you are guaranteed to have a good return on your money with real estate investing. Silver like gold is a chemical element that commands a high price. Silver is used in the making of jewelry like necklaces, bracelets, earrings and tiaras. Since the discovery of silver thousands of years ago, it has been widely-used as a form of legal tender in many countries in the world. But when silver has lost its value its use as a legal tender or money has since stopped. Silver is used widely in manufacturing and industrial purposes and also used for bullion coins for the purpose of investment. It is amazing to note that the reserves for silver worldwide had reached over 530,000 tons three years ago. Silver plays a major role in the American and Canadian coins which are heavily valued by collectors for their value and uniqueness. There are millions of silver leaf coins in Canada and silver eagle coins in the U.S. that are most sought-after by hobbyist and traders. The Canadian silver maple leaf, which is their country’s national emblem, is used as legal tender at 5 dollars per ounce while other coins of this element can reach up to 20 dollars per coin. Investing in silver is a good option for those who want to manage their hard-earned money using physical assets. However, the price of silver sometimes fluctuates because it depends on the law of supply and demand. Silver is very much different with gold because it is volatile, like gas, there are times the price increases and other times it decreases. While it is true that silver investing is good, it is important to watch the market. Without watching the market, what you might have invested on it could end up giving you a low return on investment if sold at the wrong time. The reason for this is the so-called liquidity in the market and the fluctuation occurrence that can happen because of the trend in prices of other commodities as well as the value of the dollar. The price of silver is estimated by buyers, sellers and investors. When you are planning in investing in silver, think about the consequence if the value of silver continues to decrease. Always keep an eye on the market trend by checking it each day when the market ends, if the value of silver has been stable this is the time that you decide in investing. In the United States, there is no need for investors to hold the silver bullion, instead as proof of silver investing; an investor is awarded a silver certificate that bears their name as the owner. In the past, some country’s forms of currency were issued as silver certificates. The denomination bearing a silver certificate was 10 dollars, 5 dollars, and 1 dollar. This is no longer the case with the fluctuations in the value of silver. Investing is a good way to prepare for retirement as well as provide you with some security. Silver investing needs to be planned and not done drastically because you might end up losing money. Track investments or the money you put in investing in silver may disappear due to the volatility of silver prices across the market. With tax season upon us confusion and questions reign about what to do and how to do it. What does e-filing mean? What is a W4? When do I need to do this by and when is my refund showing up? As well if you are like me it is time to stop asking dad or the family accountant to do it for you. It really is that sad last stage of knowing you are a grown up. But it doesn’t really have to be sad since with taxes come tax refunds and you may be owed back a substantial chunk of change. The question becomes which tax software or tool is best for me. The most popular and used choice is TurboTax, with its easy to use interface and low price point it is an obvious choice for many people. To use TurboTax simply go to Turbotax.com. TurboTax is made by Intuit the same company which also owns Mint.com so they are known for easy to ease and solid finance products. You can start your tax return on TurboTax for free. But if you want added features and options it will cost you. Due to a glitch in their system there is no way to “downgrade from an option” once it has been selected so we recommend starting with the cheapest “Free Edition” to begin with. They also have a Deluxe edition for $29.99 a Premier edition for $49.99 and a Home & Business edition for $74.99. That one penny off really makes all of the options are bargain but we would say that the Deluxe option is really all that most of you will need. After you hit start the interface is very straightforward simply copy over the information from your prior received W4’s and 1099’s and you are good to go. The software as you go pretends to do some voodoo and magically eek you out the biggest return possible but it is all rather normal math functions to determine your actual return. Heck if you wanted to you could do this all yourself just the e-filing features that TurboTax offer allows for it to really save you time and convenience. We were honestly curious if the return was different between the same person filing with the Basic Free version and the Deluxe edition. We actually had mixed results. On one of our tests the results were the same but on the case where the individual had moved to NYC and had only lived there for half the year the Deluxe option actually gave them a giant return. In the case above the Basic edition had pegged the individual for owing an additional $500 in city taxes but in reality the user hadn’t lived in the city for the full year so they were actually owed a $500 a refund. This led to a NET $1,000 difference in tax outcome for this user when testing out the two products. The Deluxe version with it’s more thorough questioning was able to pick up on this while the basic version had overlooked it. For this reason we do recommend the Deluxe edition. After completing all the form inputting it should only take about 10 minutes. The software does one last check and you are ready to e-file. You will most likely be charged a fee for filing your state return some where in the $20 to $30 range, but your federal taxes will be filed for free. The total cost for you will be in the realm of $50 and total time from start to finish should only be about 30 minutes, you can even finish it in 10 minutes or less. Doing your taxes has never been easier. Also be sure to save your TurboTax account so you can just use it again for next year and save even more time. Should I Use a High Deductible Health Care Plan? Expenses for medical services can be very costly these days. For a person to go without health insurance is a dangerous financial risk. If a major illness or accident occurs a family can find themselves facing enormous medical bills. Medical expenses quickly add up and the inability to pay them can wipe out someone’s finances entirely. Many hospitals refuse to see patients who are uninsured unless it is a dire emergency. At this point the patient is usually just stabilized for transport to another hospital that accepts the uninsured. Often people choose to take the risk of going without insurance because they think that they will not be able to afford the insurance premiums. Or they simply choose to take the gamble of going without health insurance because they are normally healthy and seldom need to seek medical care. Most health insurance policies offer many different packages to fit a variety of budgets. Health insurance deductibles affect the amount required for the premium, choosing a higher deductible will result in a lower premium. This option is better than having no insurance at all. With a higher deductible a person has more out of pocket expenditure initially; however once that deductible is met the insurance will then cover whatever portion of the expenses they are required to pay. The insurance policy will specify the exact amounts of the deductible, what procedures are covered by the insurance, and what portion the insurance will pay. Most people are surprised to find out how quickly they can meet their deductible within a few physician office visits. If a major illness strikes and hospitalization is required that deductible could be met in as little as one day. A bill for the deductible amount is going to always be a better option than having to pay the entire bill for a hospital stay out of pocket. One benefit to having a deductible is that a person knows exactly what amount they will be responsible for paying. There will not be any big surprises because they know what to expect. For people living paycheck to paycheck surprise bills can really throw off their budget. By knowing the exact amount required to meet the insurance deductible they can plan accordingly. High deductible plans are a great option for those looking to save money on insurance premiums and most people are in a safe position to take advantage of these savings. People with chronic illnesses such as diabetes might find it more beneficial to go with a lower deductible, however for those who are generally healthy there is no need to pay a high premium for insurance that they may not even use. Another benefit to having a high deductible is being a healthier person. Knowing that they have a high deductible often encourages people to take better care of themselves to avoid getting sick in the first place. This is a win-win situation, they are saving money on their health insurance premiums while getting healthier in the process. 1. Examine Your Debt (And Pay It Off!) – Ask any homeowner and most of them will tell you that they spent time saving money to make a down payment on a home rather than paying off debts, which are now causing them to struggle to make their monthly mortgage payment. You don’t want this to be you. So, instead of saving money for the down payment, pay off your debts. At the very least, pay them down significantly, so they won’t be such a burden once you do purchase that new house of yours. 2. Determine What You Can Afford – You need to have a long, hard look at your finances before making any significant purchase, such as a home. You need to also see how much you can borrow from the bank for such a purchase. In addition, you need to determine how much you realistically save for a down payment. When figuring up your down payment, make sure that you’ll have enough left over to cover any closing costs that may be necessary on your part. Keep in mind that your home insurance, mortgage payment and home taxes should not exceed 30% of your home’s gross income. 3. Examine Your Credit Report – It is important that before you purchase a house that you fully examine your credit report to find any discrepancies and have them taken care of immediately. Discrepancies can hurt your credit a little or a lot and it is a chance you aren’t willing to take when you start searching for your dream home. 4. Bad Credit? 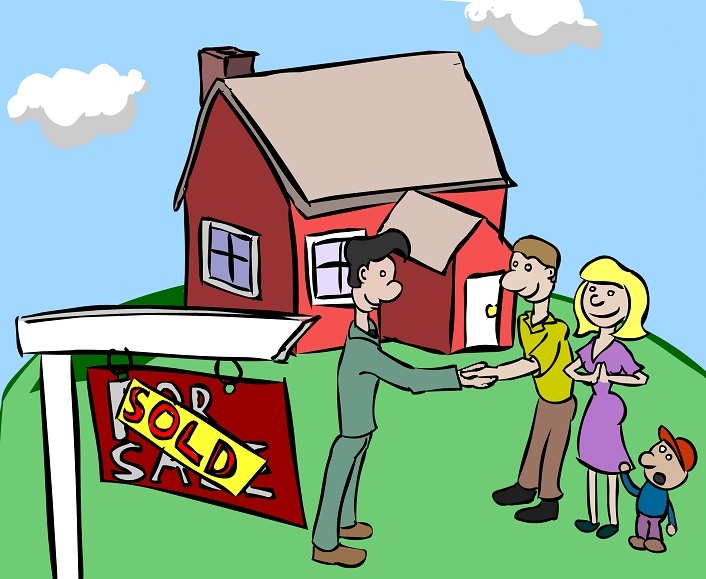 – Not everyone has perfect credit, but that doesn’t mean you can’t buy a home. There are programs set into place to help those in such a predicament in their lives. These are government insured loans that are provided by the FHA, Federal Housing Administration. With an FHA loan, you may only have to put down around 3.5 percent, which is great for lower income families; however, more and more individuals are being required to put down 10 percent, especially with a credit score lower than 580. 5. Consider Foreclosures – As a general rule, there is nothing at all wrong with a foreclosure. It is simply a home that someone was unable to continue making payments on and the bank took it as their collateral. You can usually purchase these at a discounted rate, but you must act fast! Plus, you might want to make sure your real estate broker specializes in foreclosures, as it will make the process a lot easier. 6. Tax Credit – Be sure to claim that tax credit on next year’s tax return! Now that you know a little bit about it, start planning and searching for your new home. Don’t expect to come across your dream home on the first day of home searching. It will likely take time, but after all, time is something you have, as you don’t want to rush into anything. Happy home searching! A 45 year old man working a typical 9-5 job might be thinking more intensely about saving for retirement than a 21 year old that just landed his first full time job with benefits. At the age of 21, he might start contributing 4% of his income to his 401k with a more aggressive market approach. His 45 year old neighbor is struggling tirelessly to contribute 10% of his pay with a much more conservative approach. They both share one common interest: saving for retirement. How much should an individual really save for retirement, and what is the ideal contribution to a company match plan? Many people have relied on and researched retirement planning calculators on the internet for years. The majority of these will calculate a percentage of income that one should be saving and deliver a figure that will support his/her lifestyle in 40 years. The calculator doesn’t take into consideration what everyone’s standard of living will amount to then. The sum of money that an individual should save for retirement doesn’t rely on income; it relies on money spent. A man could make $60,000 a year, but his current lifestyle requires an annual spending figure of $80,000. Another might bring home $80,000 a year, and his current lifestyle requires only $40,000. Should they both contribute the same amount to their 401k? Not likely. Calculating a substantial amount of savings for retirement relies on evaluating an individual’s current spending and determining the standard of living he/she wishes to uphold at retirement. The retirement calculators that are based on income are not completely worthless. They provide a valuable resource for determining a figure of funds that will be saved after a number of years. Before utilizing these calculators, the individual must determine the ideal amount to save. This number will be derived from deciding how much to spend at retirement. Will they live lavishly, or will they live comfortably? Once a decision has been made on how much they want to spend in 40 years, then they can decide what to save. If the current budget does not allow for that level of spending, then they must discover other ways to save. Stay healthy. One of the leading money guzzlers in retirement are health expenses. Prescription medications, knee replacements, high cholesterol, and cancer all come with a hefty bill. Regular physical activity and proactive health precautions may reduce these expenses. Make friends with the neighbors. Retirees benefit from friends and family. Several people are willing to lend a helping hand to a senior citizen; a solid relationship will open this door. Weatherproof the home. Energy costs are rising every year, and they might only increase in 20-40 years. Visit a local home improvement shop to find sealant for windows to prevent cold winter drafts. Ask about clearance items during the contrary weather season. Being frugal will allow the individual to contribute much more to their company match plan for retirement. Writing can be a huge money maker for students, especially students who are studying journalism or English. Newspaper, magazines, online blogs, and more all offer freelance writing jobs. Freelance means you are not on contract with the group, company, or organization and can write about whatever you want. You can also, however, take on a writing position in a company where you will be given assignments to write. Begin a successful blog! Once you have a loyal fan base, you can begin putting advertisements up. Every time a reader clicks the blog, you make money. Often times student newspapers on college campuses also pay for writers. Making money writing is all about how much you put into it. Plus, writing experience looks great on a resume. Writers can make anywhere from $5 to $15 dollars an article. Do you like kids? Maybe want to own a daycare someday? Then babysitting is a great fit for you. Not only will you be gaining experience to build your resume, you will be making money. Babysitting allows you to set your own hours and your own hourly wage. Also, babysitting allows a lot of downtime, which means extra time to study or just relax. If you want to look like a real professional, take a babysitting course at your local Red Cross. This course will certify you in CPR, the use of an AED, or automatic external defibrillator, rescue breathing, and other lifesaving maneuvers that will make you look that much more appealing to any parent. Do you feel content with a needle and thread in your hand? Do you spend your free time picking out the best colors and designs for necklaces? If your passion is handmade crafts, then your passion has money value. Etsy.com is the perfect place to begin posting your crafting skills to sell to the public. EBay would also be an excellent source as well. If you are confident in your abilities as a crafter, put them to the test on Etsy or ebay. You can set your own prices and work up from there! Are you proficient in business calculus? Is sitting through Spanish class a walk in the park? Do you offer your helpful services to friends all the time? Then you may be just the help that someone needs. Better yet, you are help they are willing to pay for. Start advertising your skills and tutoring services and watch the academically in need flock to you. Schools often times will pay you to tutor for them as well. With tutoring, you are able to set your own prices either per hour, per session, or per day. Schools will usually pay minimum wage or slightly more. If you are good at what you do, your students will advertise for you by boasting about the A’s you helped them get! If you are a culinary or bakery student, or just someone who has proficient knowledge in the kitchen, cooking and catering would not only be a fun way to make some extra cash, but build your resume as well. Hold a taste testing party, offer free samples to local businesses, and send letters with your business card, price sheets, and menus. If they like what you do, you can expect calls as soon as a week later. Who knows? This could even become a future business venture. The opportunities are endless! Hobbies can become opportunities with just a little time and effort. Opportunities that can make you money and can even make you a future career. Build your resume, build your bank account, and build onto your future goals. The opportunities are there, now go get them! Gas prices keep rising and lowering (but definitely more rising). Our utility bills continue to increase, as does the overalls cost of living especially while food prices steadily continue to increase. With that being said, we are looking for ways to save money and one of the easiest ways to save some quick cash is probably a way that you have never thought of before. 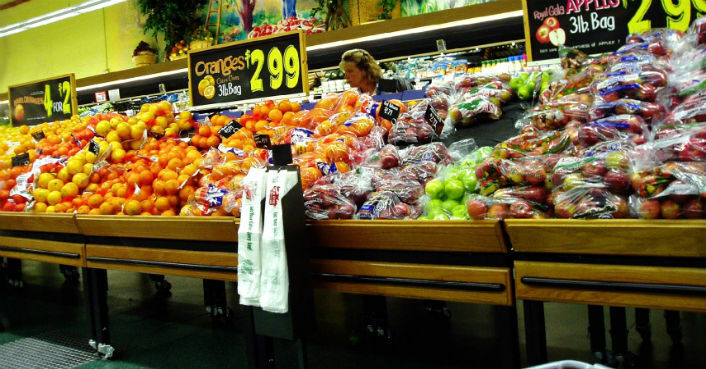 Cutting your grocery bills will save a tremendous amount of money and it’s easy! 1. Clip Coupons – While it may not seem like 50 cents here and 75 cents there will save you money, it will if you know what to do and when. You want to save coupons and use them at the store when the store is having a sale on that particular item. In some stores, you can double or triple your coupons saving you that much more! Here’s how it works: let’s say you pay $2.50 for Prego spaghetti sauce and your favorite grocery store has it on sale for $2. Let’s say you have a coupon to receive 75 cents off that can of spaghetti sauce and let’s go on to say that the coupon doubles at the store for a total of $1.50 off the $2 sale price. That means you are paying only 50 cents for an otherwise $2.50 can of Prego spaghetti sauce. It pays to learn how to clip coupons and use them efficiently. Note: you can get easily coupons in your Sunday paper or online with the click of a mouse! And don’t forget to always be on the lookout for “Buy One, Get One Free” specials at the store and coupons. Match them together and that’s some savings to brag about (maybe even completely free!). 2. Stockpile During Sales – When items go on sale, stock up on them. Use your coupons, too. This means you will need to have plenty of room in your pantry – or somewhere! – so that you can store the additional items, but when the price goes up, you won’t need it saving you money on your grocery bill. 3. Purchase Store Brands – We don’t always have to have name brand stuff, do we? Sure, it’s nice sometimes, but store brand food is generally just as good and you can save a ton of money. This doesn’t only pertain to canned goods, this also relates to fresh fruits and veggies, frozen foods, baked goods and much more! In some cases, the store brand foods taste better than their name brand counterparts! 4. Avoid Convenience – Don’t purchase already cut-up carrots that are pre-packaged when you can purchase carrots individually and cut them up yourself for a lot cheaper. Avoid pre-made foods because in the long-run, you will save more cooking it from scratch at home rather than purchasing it in the frozen section especially in the long-term. Same goes for pre-cooked foods. It’s just better to buy the ingredients separately and make it at home. Next time you want the same meal, you’ll already have some of the ingredients on hand thus saving money! 5. Make a List – We all know that we spend more money at the grocery store when we go in without knowing what we need. By making a list of the things that we need (and sticking to it! ), we are saving a ton of money on items that the household doesn’t really need such as extra junk food, an apple pie that looked too good to pass up, etc. So, check your fridge, pantry and cabinets before heading to the grocery store and make that list of the things you need to avoid excessive, unnecessary costs. Utilizing the above-mentioned five ways to cut grocery bills, you will save a huge amount on your grocery bills each week. In fact, you will probably save more than you could have ever imagined you could save. When you go to the grocery store, make sure you are equipped with these five shop smart ways you can save money.